April Fool’s Day is filled with spoofs, pranks, and fake-outs like Orcas in Lake Michigan, the Mackinac Island Tunnel, and sleeping bears discovered in the woods at Sleeping Bear Dunes. The Internet is full of fun stories made to fake out unsuspecting readers, but this April, one thing is really true. At Eastbrook Homes, we’re not pulling your leg when we say – if you can afford to rent a home, then you can afford to buy one! If a new address is in your plans for the coming year, then don’t settle for putting money in someone else’s pocket. It’s time to secure your future by building equity in your own home instead. Think we’re joking? Think again. Visit our financing page and try out the new Eastbrook Mortgage Calculator to see how we can help make your dream house into a reality. Our Eastbrook Building Process take the surprises out of building your dream home, and our preferred lenders save our customers time and eliminate challenges. Grand Rapids and Lansing, Michigan are still two of the hottest real estate markets in the country, and that means incredible opportunities exist. Visit our Available Homes page and you might be surprised at what you can own for $1500 a month, like this Stockton floor plan in the Eastbrook Community of Carlisle Crossings. That’s not the only place where opportunity awaits. 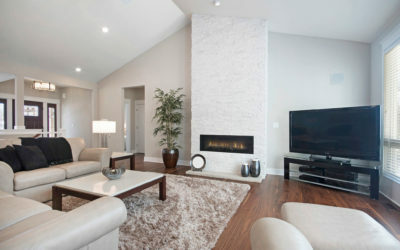 Our Eastbrook Communities were carefully designed to provide a match for your unique lifestyle, whether that means lakefront living in Tannery Bay or Wabasis Shores, or low maintenance town homes in Town Square. If golf is your game, then you’ll love communities like College Fields, where move-in ready single-family and town homes wait for you to take a tour. Rather build? One of our many home plans is sure to match your idea of the perfect palace instead. Many of our communities offer new homes at lower price points too, with great features such as beautiful clubhouses, pools, and common areas for outdoor activities. Whether a top-rated school system or easy access to downtown Grand Rapids or Greater Lansing is your highest priority, you’ll love what you’ll find in places like Saffron Hills, Cooks Crossing, or the new phase taking shape at Lowing Woods. Don’t be fooled into thinking that your only option is to rent. Contact the Eastbrook Homes team today and we’ll show you there’s no trick to owning your next home instead. Come see why we’re not joking when we say Eastbrook Homes always gives you more home for your money!